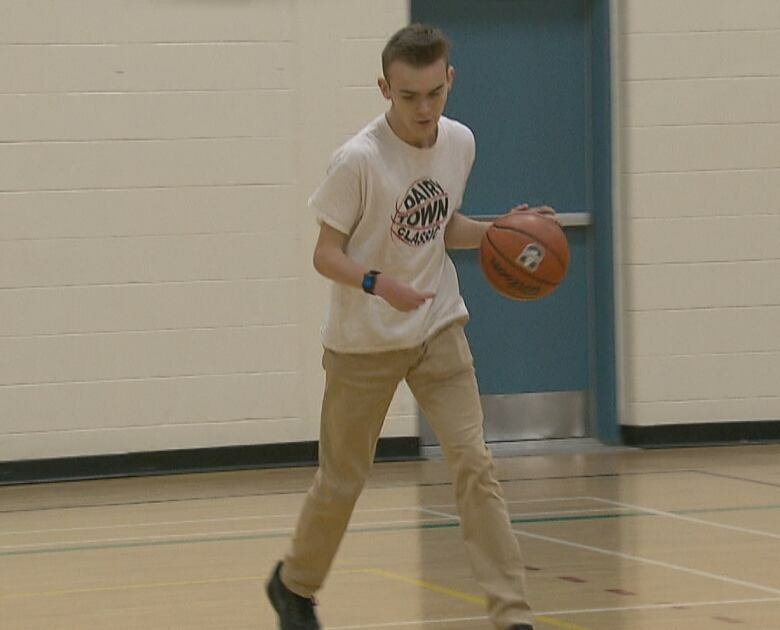 Ben Mowat lives with cerebral palsy and has always dreamed of playing basketball in front of his entire high school in Moncton. His dream came true Wednesday night after a teammate gave up his spot, and Mowat did not disappoint. It's a scene that could've come straight out of a Hollywood movie like Rudy or Hoosiers. Ben Mowat lives with cerebral palsy and has always dreamed of playing basketball in front of his entire high school in Moncton. 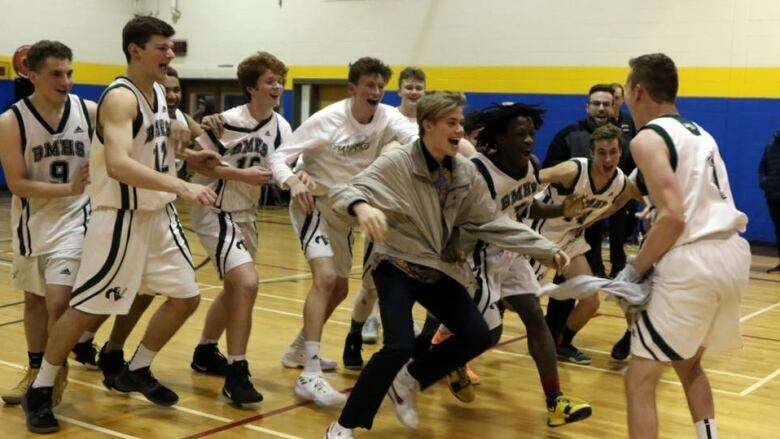 This week, that dream came true for the manager of the Bernice MacNaughton High School's senior boys AAA team when teammate Ben Dool offered up his position on the team and his jersey for the night so Mowat could play in the opening of the Irving Men's High School Basketball Classic tournament on Wednesday night. Mowat scored a three-pointer in the second quarter of the game — and the whole crowd inside the gymnasium went wild. 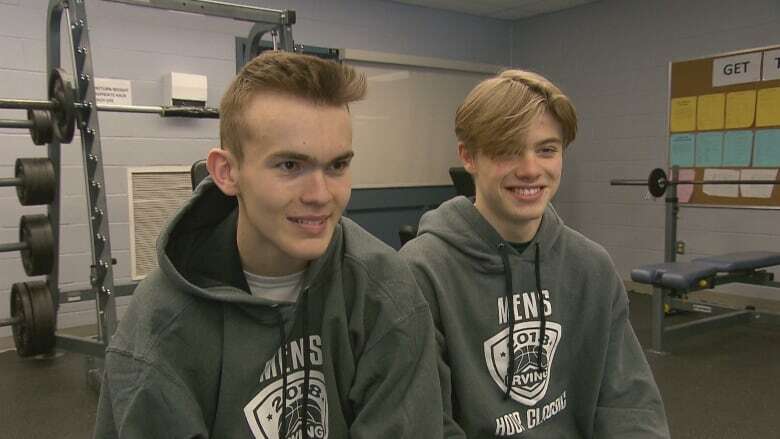 "Once it went in I looked over at the bench and could see all the guys jumping up and down and cheering for me," said the Grade 12 student. The game ended in a 92-53 victory for Bernice MacNaughton over Harrison Trimble, and Mowat was named the high school's player of the game. "It was pretty cool when I actually got to go in there and you see all the kids sitting down and you hit the three," he said. "It was a pretty spectacular moment." The basketball team, nicknamed the Highlanders, came up with the idea before the game as a way to honour Mowat and all his hard work before Wednesday's tournament. Dool, a Grade 11 shooting guard on the team, immediately forfeited his position on the court for Mowat and didn't give it another thought. "He just has a love for basketball like no one else," said Dool. "He's just always at the gym with us, he's always been a part of the team." Dool said it was an exciting game to watch and it was even more special to see his fellow teammate out on the court. "I feel like anyone else on the team would've done the same thing," he said. "Everyone cares about Ben and he's always been there for us." Growing up, Mowat has always loved basketball and played the sport for about 11 years until he could no longer play competitively in Grade 8. In Grade 10, the high school student was appointed as the team's manager so he could travel on the road and work on stats for the team while devoting more of his time to the sport he loves. But nothing will beat Wednesday's big game, which he considers the highlight of his high school career and a pure act of "selflessness." "That was probably the most important thing to me, to see all my teammates there have my back," he said. It was a moment Mowat will cherish forever — especially since he was told he could never play competitive sports because of his cerebral palsy, a neurological disorder that affects movement, muscle tone and a person's motor skills. "This disability won't stop you unless you let it stop you," he said. Asked if he had any advice to offer, Mowat said always do your stretches and never give up. "People will tell you you can't do stuff, that's not true. You just have to work hard," he said. "Your dreams aren't out of reach."